Innermedia > Latest News > Website Designs > We are proud to launch the new Merlin Sponsorship website. Merlin is one of the world’s largest visitor attraction operators with over 41 million global visitors each year to their top attractions such as Thorpe Park, Alton Towers, Madame Tussauds and the London Eye. 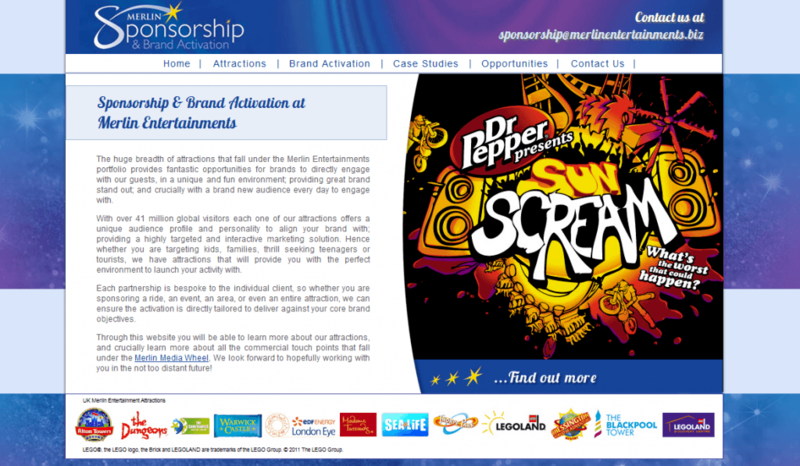 They wanted a website that would showcase the opportunities for other companies to increase their brand engagement and brand awareness at their attractions. Our aim was to build a site that delivered this message clearly and represented everything that Merlin is all about, which of course, is fun! We are really proud to launch this site and to call Merlin one of our happy clients. If you are interested in our website design, contact Innermedia.